We offer free water tests to customers that use our water care products. In a hurry? Alkalinity buffers pH helping to keep it in the stable range. It gets used up buffering the pH. A buffered pH means less balancing treatments are needed and chlorine and other chemicals are more effective when pH is in ideal range. When TA is low pH bounce uncontrollably, vinyl liners may wrinkle. When TA is high there is an increased potential for scale forming. Balance TA before pH. Stabilizer helps keep a chlorine residue by protecting your chlorine from being burned off quickly by the sun’s ultra violet light. Stabilizer is only lost by draining, backwashing, or splashing, It does not break down. 0 to 0.6ppm Insufficient sanitation - unsafe for swimmers. Bacteria could cause summer cold, swimmer's ear, or rashes. pH is logarithmic measure like the Richter scale for earthquakes, so small out of balance readings can cause big problems. Out of balance pH can cause red eyes, irritated skin, bad hair, and waste your chlorine. 8 High pool water pH too alkaline, chlorine slows down and will not kill bacteria but will give a high chlorine reading. 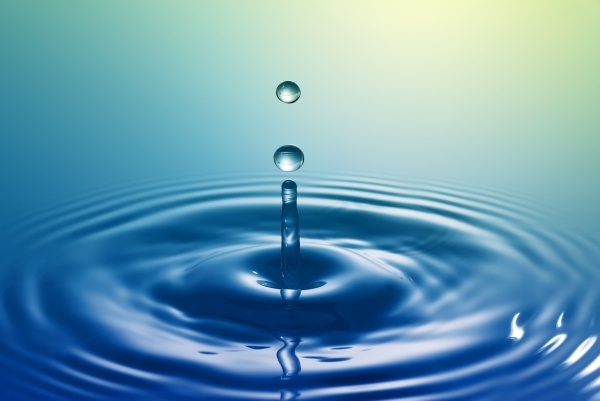 Alkaline, basic water allows algae to grow, scalling on pipes, equipment and surfaces, and cloudy water. 6 Low pool water pH too acidic, chlorine gets hyperactive and used up before it can work killing bacteria. Acidic water will cause metal on pool equipment to corrode, will damage surfaces, and will cause seals to become brittle over time. Lower level Soft water will try to harden itself by leaching from pool surfaces aging liners and synthetic materials. Higher level Hard water will try to soften itself by depositing extra calcium onto pool surfaces. Over 450ppm and you will need to partially drain and refill your pool. Treat if exceeds 0.2ppm, water changes colour, or pool surfaces stain. 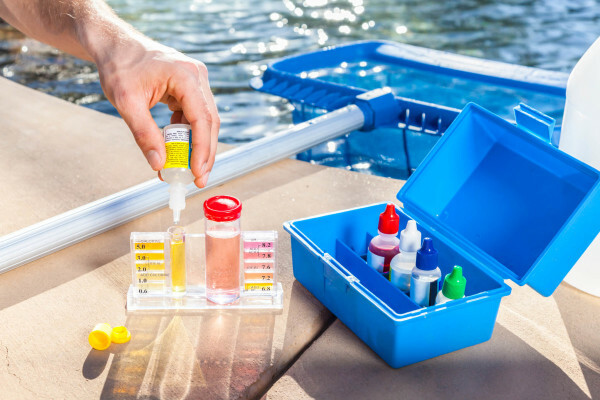 Measured in parts per million (ppm) it is the sum of the calcium, stabilizer, metals, chlorides, bicarbonates, magnesium, and sulfates in your pool water. Levels will get higher as pool water gets older, accumulating more stuff. Higher levels make it harder to maintain your pool water. Maximums are 2500ppm in chlorine pool, 1500ppm over ideal salt level in salt pool, and 1500 in a hot tub.